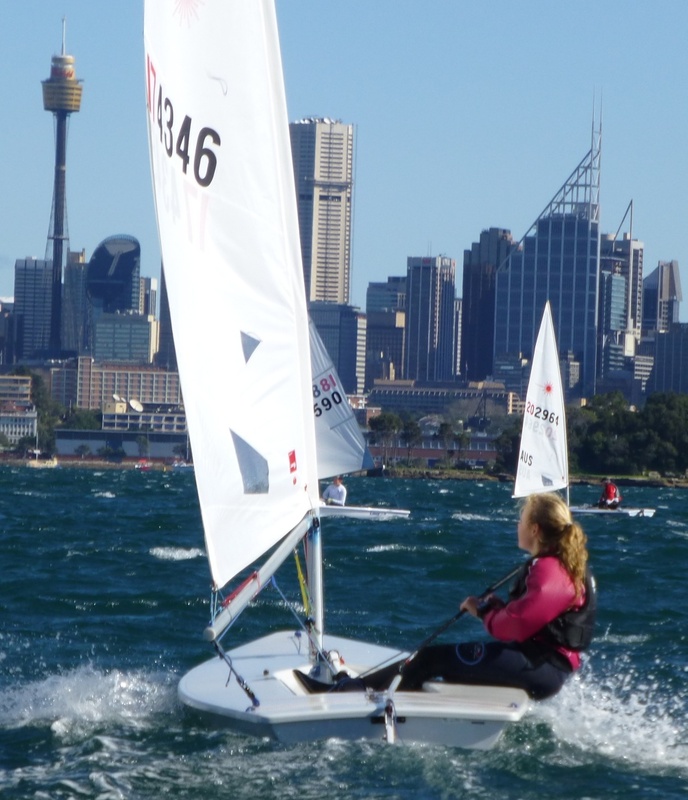 A laser coach is required primarily to train a group of young competent Laser sailors at Woollahra. Training occurs during School Holiday Camps and weekly training sessions during winter and summer. This would suit an accomplished sailor who is interested in coaching and extra income. Assistance would be given to gain instructors certificate. The coaching position can be augmented with weekend Race Management duties to provide a useful income. Lane Cove 12ft Sailing Skiff Club hosted the Metropolitan Championship on March 8 and 9 with 67 sailors entered. The weekend’s racing started on Saturday with the Lane Cove Club running the Dash for Cash from the club-house in the Lane Cover River to the main race area near Clarkes Point Woolwich. Winners were Jordan Makin in the 4.7, Shane Conly 1st in the radials (and 2nd overall), James Burman in the standard rigs. Full results of the dash for cash are here. RO Col Chidgey ably supported by the large team from Lane Cove Sailing 12′ SSC had some work to do as the wind clocked right then left. They had the added challenge of fitting the standard Laser trapazoidal course into the relatively confined space between Long Nose Point Birchgrove and Cockatoo Island and as far as possible away from the ferry and power boat lanes. Six races were conducted over the two days, challenging the sailors in the variable and shifty moderate winds. On Sunday the boats were held on shore until 12.30 until the sea-breeze had worked its way up the river. To ensure each fleet sailed 6 races, Col Chidgey started the last race of the Standard rigs under black flag, with 5 seconds to spare before the 3.30 race start cutoff. In the Metro Series the easy winner in the Standard Rig was James Burman who won all but one of the six races. Second was Sean Feeney from MHASC and thrid William Dargaville from MHASC and RPAYC. The Radials was a shoot out between Double Bay sailors Finn Alexander and Dennis Kuhlmann. They each posted two wins however Finn was a tad more constent and finished three points ahead of Dennis. Third was Ashely Stoddart from Royal Queensland Yacht Squadron. In the 4.7′s Jordan Makin from Gosford Sailing Club posted four wins to take the title follwed by Marlena Berzins from Double Bay and Great Grand Master David Adams from Dobroyd Aquatic Club. David despite his not so tender years sails a Mac 2 foiling moth when he is not Lasering so probaly found the going at the Metros rather tame. The full results of the event are here. Corinna Hartas took some more action shots including the foiling Laser which you can see here. Thanks must go to the Lane Cove 12′ SSC and its army of on and off the water helpers. These folks looked after sailors before during and after racing. The Club also donated the “Dash for Cash” prizes and arranged for donations of door prizes from MonkeyFist.com.au and a Laser sail donated by NB SailSports which was a door prize at the presentation. Thanks to those generous sponsors. 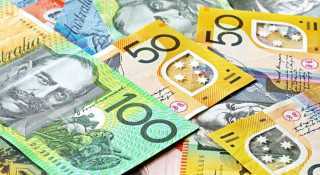 There is a chance to win a cash prize of $100 for the race from the Lane Cove Sailing Club to the start of the Metropolitan Championship near Clarkes Point Hunters Hill on Saturday 8th March. In terms of reward for distance sailed this prize is among the best you will see. There are $100 prizes for each rig Standard, Radial and 4.7. The basic rule is pretty simple you have to sail a Laser (of any rig) and the race starts at 12.45pm. If you need more detail please consult the race documents here. On Sunday after racing there will be a presentation at the Lane Cove Club with finger food and $3 kebabs & salads & Lebanese bread. There will be a new Laser sail given away from a draw of the sailors who are present at the club for the presentation on Sunday. There will be prizes for all divisions and the open event plus encouragement awards. For the encouragement awards again you will need to be at the presentation at the Lane Cove 12′SSC to get the prize. Come along enjoy the racing and maybe take home the big prize. Congratulations to Victorian Laser Association and Gippsland Lakes Yacht Club for the running of the National Masters at Paynesville. The event went without a hitch and the venue proved to be a hit with the sailors and partners. Good sailing waters, friendly club, plenty of coffee shops and restaurants – what’s not to like. Well done to all competitors. There were 143 entries (54 Standard, 82 Radial and 7 4.7′s) most of whom braved the circa 25 knot Sunday winds completing three races in conditions which were described as “character building”. Not bad for old B’s! There are a couple of photos above including the latest innovation square rigged Laser – don’t think it will catch on though. Clear Masters winners David Early (Radial) and Brett Beyer with ALCA Chair Ken Hurling (Standard) are pictured. There are lots of photos of the event whch are linked at the GLYC site here. 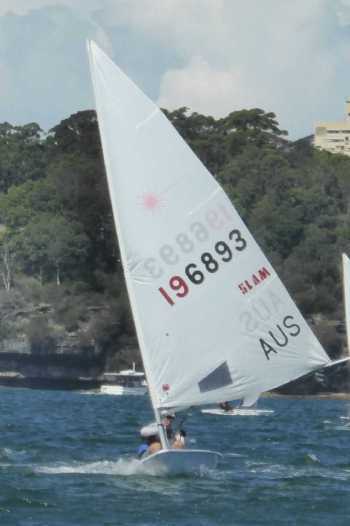 The Metropolitan Championship is on the 8-9th March at Lane Cove 12 Foot Sailing Skiff Club. Notice of Race and Sailing Intructions are available online. You can enter online here or at the Lane Cove 12 Footers Club between 9.30 and 11.30am on Saturday. The racing will be out in the open area between Hunters Hill Greenwich and Balmain. Our RO Col Chidgey identifies it as Mocooboolah which is the aboriginal name for the area around Hunters Hill and means “meeting of the waters”. There is plenty of room for good Laser racing. Fleets of up to 50 and 60 yachts from Drummonyne, Greenwich Flying Squadron and Balmain regularly race here. There have been 12 footer’s Interdominion and 16 footer’s Nations on the same stretch of water. There is fantastic spectator viewing over the race track from Clarkes Point Hunters Hill. Rigging will be at Lane Cove and if you like lots of space at Hunters Hill Sailing Club. Registration and beach entry will be at Lane Cove 12 footers Club as will the presentation ASAP after racing on Sunday. There will be a sign on and off sheets at Hunters Hill Sailing Club on Saturday and Sunday. Don’t forget to come to Lane Cove 12 Footers for the presentation and sausage sizzle after racing on Sunday. As an extra encouragement for sailors to rig at and enjoy the hospitality of the Lane Cove 12′SSC the club is running a dash for cash starting at 12.45pm on Saturday at the Lane Cove Club and finishing near the Metros start line. There will be prizes for this and of course the main event. Metro prizes will be awarded for Open, Youth, Women and Masters categories. Come along and enjoy the racing and support the Laser sailors at Lane Cove. These folk are some of the keenest Laserers around attending Masters State National and Worlds in numbers. The Laser Open National Championship next season is at Mandurah, Western Australia 72km South of Perth, The Venue is the Mandurah Offshore Fishing and Sailing Club (MOFSC) and racing will be held on the Indian Ocean a 10 minute reach to the start line from MOFSC. The Preliminary dates are the 27th Dec 2014 to the 4th January 2015. Performance Sailcraft Australia are arranging a limited number of Laser charters for this event as well as the Youth Nationals at Freemantle and Sail Melbourne at Sandringham. For the Nationals and Youth Nationals expressions of interest must be received by PSA by 31st May 2014 to allow for planning and logistics. You can see more information here and submit an expression of interest via the PSA on line contact form here. It is understood that NB Sailsports will also be offering charters and possibly boat transport for the WA events. As soon as we have confirmation and details we will post these on this site. The States where held at Georges River Sailing Club on 1st and 2nd February. The series saw a high class fleet of 70 boats (17 4.7′s 33 Radials and 20 Standard) competing. Saturday saw a fading southerly going to the east at around 8 to 12 knots. Sunday presented a nice 18 knot NNE breeze and sizable waves. The tide was mostly strong run out causing sailors to think a lot to avoid over (or under) laying the marks. RO Col Chidgey set the course off Ramsgate a little (but not much) out of the Georges River tide. On the Sunday with a NNE breeze and a strong tide running from the opposite direction there were numerous general recalls. The black flag start following the first general usually tamed the fleet. Blake Shelley from Double Bay SC and WoollahraSC won the 4.7′s in a close contest from Peter Charlton South Lake Macquarie and Jordan Makin Gosford SC. In the Radials Finn Alexander also from Double Bay won with three bullets in the last three races and discarding a 12th in race one – a race I am sure he would be happy to forget. Second was Nicholas Connor from RPAYC and MHASC and third was World Grand Masters Champion Vanessa Dudley. Sean Atherton from MHASC in a commanding display won every race in the Standard Rig with Marcus Whitley from DBSC second and visitor Brent Morris from Port Melbourne SC third. Thanks very much to all competitors for the spirit of the racing and skill exhibited and to Georges River Sailing Club volunteers and RO Col Chidgey and assitant Leanne Narborough for their running a great series. The final fleet results for the event are here. The results for the Divisions which were scored separately are here. 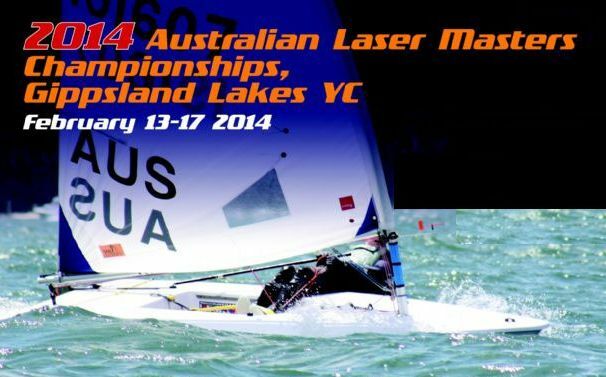 The Australian Masters Championship is coming up 13th-17th February at Gippsland Lakes Yacht Club Paynesville Vic. Currently there are over 130 entries. This is always a great event for Master Laser sailors of all rigs and ages. Entries are open until February 10th with no late entry fee. To enter click here. Late entries at the regatta will be taken up until am Thursday Feb 13th. The notice of race is here and the mini web site for the event which includes accommodation information is here. The flyer for the event including the current budget and camping accommodation is here. Accommodation is still available. See the regatta web site here. If you need help with accommodation please contact James Frecheville at frecheboat@netspace.com.au or mobile 0412 979 824. There is another flyer covering regatta dinners and shirts which you can view here. Regatta dinner bookings will remain open until Thursday Feb 13th. You can book at Try Booking here. Pre regatta ordering of Regatta Polo shirts by Gill has closed however it will be possible to order shirts at the regatta for delivery by post. Don’t try to use these in the State Championship but if you want to blast around on foils on your existing Laser then this may be of interest. The picture is of MHASC Laser sailor Peter Stephinson who along with Dr Ian Ward designed and are now marketing the Laser foiler kit. The appendage over the stern is nothing to do with flying the Laser but is Peter’s ultimate selfie camera. You can read all about the development on the Glidefree web site here. The States are coming up on the weekend of 1st and 2nd February at Georges River Sailing Club. This will be a top event at a great sailing venue. Entry is $60 and just $30 for sailors under 21. The Notice of Race is here and you can enter online here. Good luck to all the sailors participating in the Nationals at McCrae. There are 169 entries so far comprising 51 4.7′s 50 Radials and 68 Standards. You can follow the results here. 33 Australian Laser Masters (25 from NSW/ACT) travelled to Musannah Oman for the World Masters. Australia won 3 of the 8 Masters series. Congratulations to Vanessa Dudley, Mark Bethwaite from NSW and Greg Adams from Queensland for their respective convincing wins. The series was run in mostly light winds – in the 5-9 knot range most days. While this did not suit all the Australian sailors Vanessa, Greg and Mark made short work of the opposition and each won without needing to sail on the final day. The full results are here. There are some photos of the venue, the presentation and Oman here and official photos here. The Millenium Resort which was HQ for the Worlds was purpose built for boating and with major events like Laser Worlds in mind. 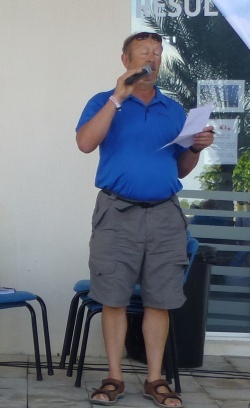 It was, apart from the light winds, a perfect venue with all the competitors housed at the adjacent Millenium Resort. RO’s Hugh Leiicester on the Standard Rig course and Jeff Martin on the Radial course did a great job in the sometimes marginal strength and shifty breeze. As well there was an army of officials and helpers to make sure everything ran smoothly. The World Standard Rig Open Championship was held prior to the Masters from 14th to 23rd November 2013. This was won by 40 year old Robert Scheidt from Brazil who took the title in a close contest from London Olympic Silver Medalist Pavlos Kontides from Cyprus. The full results are here. The World Laser Radial Youth Championship were also run at Musannah from 27th December 2013. At the Competitor Briefing in Musannah Oman in December ILCA President Tracy Usher gave an update on the Laser licensing issue. The dispute between Laser Performance the UK based builder and Laser designer Bruce Kirby has been ongoing for quite a while. The story behind the dispute is here. The court case will be before the U.S. Federal Court District of Connecticut USA, through an action filed by Bruce Kirby. Tracy said that attempts by ILCA and ISAF to get a meeting of the parties and to potentially mediate the case have failed. Now the case will go through a four stage court process and may only see judgement some time in 2014. In the mean time ISAF plaques will continue to be affixed to new Lasers from all builders maintaing the supply of boats. The long awaited improvements in the class with the new mast top section and the new longer life radial cut standard rig sail are all good to go but need the unanimous agreement of all the Laser builders. Tracy said that this approval had not been obtained and was unlikely to be until the current legal dispute is settled. His candid advice was not to hold your breath waiting for the improvements. At the same meeting ILCA World Executive Secretary Jeff Martin explained the implications of some new initiatives by ISAF for World Championships. These changes would see the ISAF limit World Championships to four per class and run a Sailing World Cup with four regattas plus the World Championship for each class limited to the top 25 sailors. The limit of four “Worlds” would rule out ILCA’s running World Masters or at least naming the event so. The limitation of the Sailing World Cup to 25 might be fine for some classes with limited numbers of sailors but would rule out the majority of the very large number of up and coming Laser sailors from this peak level of competition. These “one size fits all” changes by ISAF are counter to the interest of Laser sailing as is their other “initiative” to allow “kinetic actions” above certain wind strengths in Lasers. On a more positive note Jeff explained that the GGM Standard Rig was a fixture for Laser Masters and that a new 75+ age bracket would be formalised for Radials. The next World Masters (if it will be termed that) will be in Hyeres France 3-11th October 2014 and is likely to be huge with 4.7 Rig returning and the fleet size likely limited by the number of boats that can be managed on the courses available. The NoR is expected to be issued for this event in January 2014. The ILCA web page for the event is here. Subsequent “World Masters” will be in July 2015 in Kingston Canada and in 2016 either in South America or Malaysia. 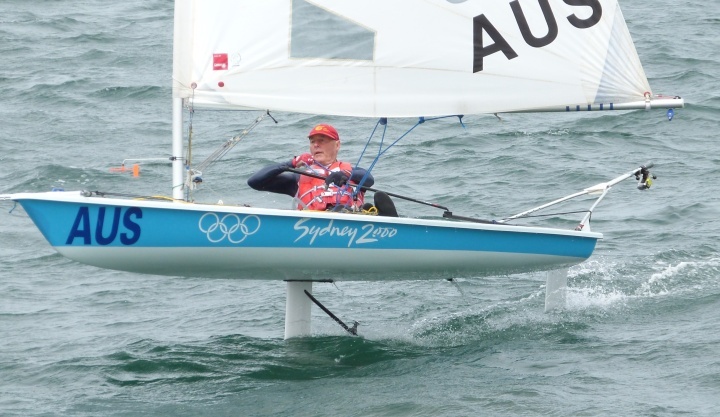 Tom Burton continues to hold ISAF world number one Laser World ranking. Ashley Brunning holds 7th ranking. The skill and dedication required to achieve and hold these positions must be recognised and applauded. Tom Burton most recently convincingly won Sail Melbourne putting aside the disappointment of his 9th in the Worlds in Oman in November. Tom earlier this year won the National Laser Championship at Sandy Bay his third Nationals in a row. This is the reminder that the early bird entries close for the 2014 Australian Laser Open championships on the 1st of December 2013. The cost of entry is $300.00 ($50 per day). This included 6 days of racing, the opening and closing functions, after race snacks on the four days when racing is scheduled in the afternoon, regatta T shirts, a cap and some great daily prizes kindly donated by Gill. For families with multiple entries the cost of the second and subsequent entries is $250 per boat which is a rebate being paid thanks to the generosity of our sponsors. The rebate can be collected at registration. There is also five $400 cash prizes to the winners of the invitation race for the Men’s Standard, Men and Women’s Radial and Men and Women’s 4.7 which is guaranteed to make the invitation race a hard fought affair. More details in the NOR. Preparations by McCrae are well underway so we are looking forward to a fantastic regatta and hope to see you there.